Avenue Chauffeured Transportation provides limo service in the Charlotte area. 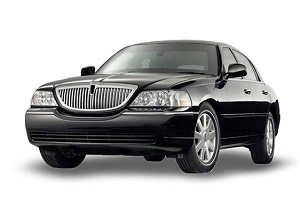 We specialize in limousine airport transportation, limo car service and limo party bus service. We provide VIP luxury transportation for all occasions, including prom, and even wine tours and brewery tours. Stress free, in-style and with great rates. Call or reserve today. Arrive in comfort and style with limousine airport transportation from Avenue Chauffeured Transportation. We are a trusted provider, transporting our customers to and from the airport with a modern fleet of vehicles with professional chauffeurs who value safety, efficiency and the comfort of our guests. Charlotte Douglas airport transportation service is our specialty. When you need a quick and safe limo or car service to airport ride or a comfortable ride to your hotel or home, you will appreciate the drive you take with Avenue Chauffeured Transportation. Avenue Chauffeured Transportation specializes in limo car service, with VIP service and great rates. We understand that professional and reliable transportation is important for personal and for business and we take that seriously. Whether you or your company needs transportation for a large group or car service for a personal trip, we can make the accommodation. We will ensure that you arrive safely at your destination. Call Avenue Chauffeured Transportation today for first-class service and VIP transportation in modern luxury vehicles. When searching for limo party bus rental, Avenue Chauffeured Transportation is the best in town. Catering to both large and small groups, we offer a variety of party buses and Mercedes Sprinter vans to match your transportation needs. Our service spans the entire local area and includes Wine Tours, Brewery Tours, Golf Tours and luxury party bus transportation for all occasions. Ready to get your party started? Avenue Chauffeured Transportation has the expertise and heart to make your wedding extra special with our top of the line wedding limo rental service. Whether you need a wedding limousine, bachelorette or bachelor party transportation, Avenue Chauffeured Transportation has you covered. When it comes to planning your wedding, you do not choose the first dress, venue or cake you find – you seek out the best available. The same applies to your wedding limo rental. That why Avenue Chauffeured Transportation is proud to say that we are a Premier Limousine Service Company. Our staff understands the importance of making your wedding as great as possible and we will go the extra mile to give you the day of your dreams. 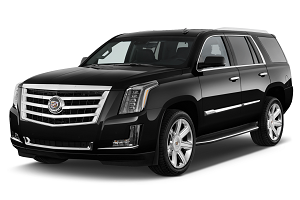 FEATURING A MODERN AND LUXURIOUS LIMO RENTAL FLEET! Avenue Chauffeured Transportation has a modern limo fleet that includes limo series sedans, luxury SUVs, stretch limousines, Mercedes Sprinter passenger vans and party buses - guaranteed safe, classy, clean and on time. All our chauffeurs are certified and professional. And, we are prompt and on time. NO SURPRISES! We will give you a relaxed, stress-free ride to the place you need to be, with safe, reliable and affordable luxury transportation. Avenue Chauffeured Transportation will provide you with safe transport to top local breweries with our fully customizable brewery tour. You can select the length of your tour, the breweries to-visit list and your pick-up and drop off locations. Whether you've just turned 21 or 51, a brewery tour with us is a great experience for beer enthusiasts new and seasoned. Great fun with friends is always on tap with a brewery tour from Avenue Chauffeured Transportation. Avenue Chauffeured Transportation offers fully customizable and unforgettable wine tours that are perfect for groups of two or parties of almost any size. We also provide wine tours for weddings, family reunions, birthday celebrations or any special occasion. Sit back and relax in one of our modern, chauffeured luxury vehicles, while taking in beautiful and inspiring views and while sipping some of the area's most tasty wines. Avenue Chauffeured transportation proudly provides special event limo service for all occasions, including holidays and celebrations of all kinds. If you wish to celebrate safely without worrying about traffic and parking, call us today. Travel to your next Birthday, Anniversary, Prom, Sweet 16, Quinceanera, Bar Mitzvah, Bat Mitzvah, New Year’s Eve Party, Christmas Party, Hanukkah Party or any special event in style and like a VIP with a Charlotte special event limousine from Avenue Chauffeured Transportation. We also provide limousine and luxury vehicle packages for special corporate events, including trade shows, board meetings, corporate functions and business meetings of all kinds. Ride in luxury to your next concert event with a Charlotte concert limo from Avenue Chauffeured Transportation. You focus on the music and our chauffeurs will focus on traffic, parking and transporting you safely to your music event. 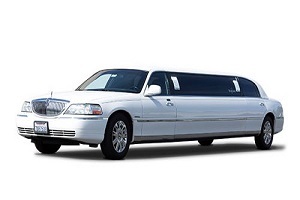 We proudly offer Charlotte concert limousine and luxury vehicle packages for all concert events in the area. 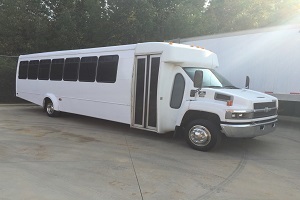 We are ready to take your party of 1-20+ to the concert of your choice in style. You can leave the concert as early or as late as you like and our chauffeurs can then take you to the hottest spots in and around Charlotte or you can party all night long while riding around the Queen City. Avenue Chauffeured Transportation will go the extra mile to ensure that you can travel like a VIP or party like a rock star and go home in safety and style. Whether you want to see football, basketball, auto racing or any other sporting event, Avenue Chauffeured Transportation will provide you with a modern limo or luxury vehicle for hassle free transportation to and from any sporting venue. Leave the traffic and parking to us. Our chauffeured drivers will take you to any sporting event with comfort and style. Your Sporting Event limo service will then transport you safely home with a relaxing ride. Even if your team doesn’t win game, you always win with a limousine from Avenue Chauffeured Transportation. Avenue Chauffeured Transportation provides private limo service for Golf Tour transportation from the Charlotte Douglas International Airport (CLT) and surrounding areas and delivers a safe and comfortable travel experience for golf pros, golf fans and for golfing outings and events. Experience the excellent service of our private chauffeured service. We offer a meet and greet service option and transportation logistical support option for groups or travelers arriving on different flights. We are ready to take you in luxury and style to any golf destination within the extended area. We are Charlotte’s Premier Limo Service Company, with an incredible and wide range of luxury vehicles for parties of 1-20+. We are a member of the National Limousine Association, the Better Business Bureau and provide first class and affordable service to all destinations in the Charlotte area. We want your business and we want to provide you with VIP service 24/7. How can I book limo or car service? Please call us at (704) 750-5466 (LIMO) or click HERE to book online. We are available 24/7 and provide free quotes for all transportation arrangements. 3/1/18 – First day of Spring is March 20th! Make your Spring plans now and reserve your limousine, car service or party bus transportation with Charlotte’s Premier Limousine Service Company: Avenue Chauffeured Transportation. 2/14/18 - Happy Valentine's Day! We look forward to providing you with first class and affordable chauffeured transportation for your next Charlotte night on the town. 7/11/17 - We would like to thank our limousine, car service and party bus customers for a great first half of the year! You are the best! Thank you! 7/4/17 - Happy Independence Day from Avenue Chauffeured Transportation - Charlotte Limousine and Car Service! 6/1/17 - We are the official limousine and car service company of Summer. Reserve your luxury transportation today! 5/1/17 - Happy Cinco de Mayo! Act now to reserve chauffeured luxury transportation for your night on the town! 4/1/17 - Taxes done? Celebrate with a Winery Tour, Brewery Tour or Golf Tour from Avenue Chauffeured Transportation. Call today! 3/1/17 - Happy St. Patrick's Day. Get lucky today by reserving a limousine or luxury vehicle for your special night out. 2/1/17 - Happy Valentine's Day! If you're looking for luxury transportation for your special night out, you'll love our service and prices. 1/1/17 - Happy New Year! We are excited to provide limousine, party bus and luxury transportation to Charlotte in 2017!